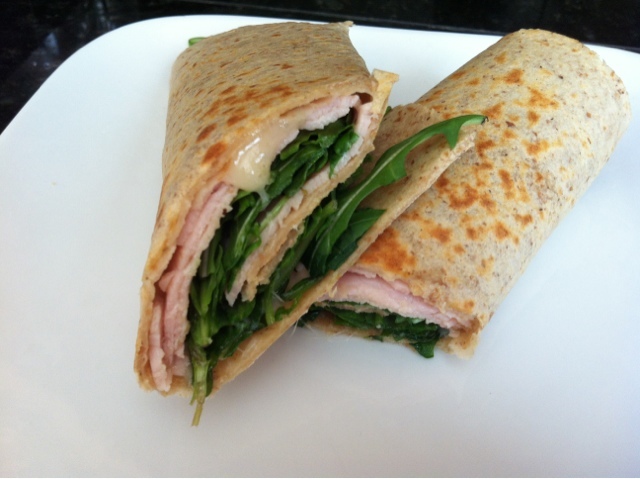 I cooked this similar to a quesadilla, on a flat grill I put down the thinly sliced brie and turkey then after the cheese melted I added the arugula. Perfect flavorful lunch. So yummy served with some fruit.